How Does This Essay Writing Website Work? You place your order stating the requirements, deadline and the number of pages and pay for it. 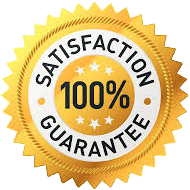 We process your order and assign it to the most suitable writer. Your account on our website is created as soon as you fill out the order form, and you are given student panel credentials. Once your project is ready, we upload it to your account and notify you via email. The writers at your service have mastery over writing customized-to-requirements, plagiarism free essays, research papers, dissertation and thesis within the turnaround time you require. The writers are all professionals carrying a vast experience of academic student writing under their belt. By using our site for your writing needs, you do not become vulnerable to plagiarism penalty at your educational institution. We keep all your personal details such as name, email address and phone number private and do not share with third parties. Our site is free of viruses, malware and you can safely navigate through it. You can pay us for the writing services either through credit card or PayPal. The transactions done through our site are 100 percent safe. What Subjects You Can Write About? Having a large team of professional writers and editors, we pride ourselves on writing essays, research papers, dissertations, and thesis on every subject under the sun. From arts and history to computer sciences, the writers are fully capable of delivering papers within your chosen deadline. Ordering at EssayArsenal is simple and user-friendly. First, you choose your urgency, the turnaround time, and the number of pages. Go to the order page. Fill out the form stating your assignment requirements. Once you are done with the payment, we process your order and assign your order to the best available research writer. What If I am not satisfied with the Quality of the Work? In such a case, we encourage you to send revision requests as many as you can to have the desired product. The revision percentage is considerably low considering the experience and qualification of our writers.